Our little bundles of wiggles and giggles deserve products that are certified safe. 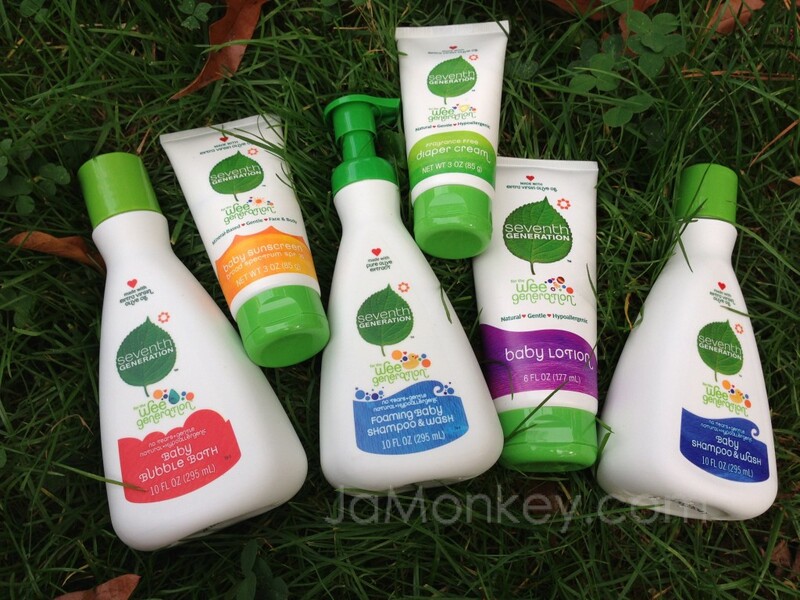 Seventh Generation has created a specially formulated line of Baby Bath & Body products called Wee Generation. They are the first line that has been given the USDA Certified Biobased label. The USDA Certified Biobased product label was designed to give consumers a way to readily identify products with verified renewable content. This exposure continues after birth with chemicals like lead, flame retardants, bisphenol-A (BPA), and formaldehyde. Found in things such as breast milk and baby bath products. Some companies don't list everything! Ingredients that have multiple components are not required to list them. After bottling some ingredients undergo reactions in the bottle that will release ingredients not listed including formaldehyde. I'm all for wrapping them in safer products after reading about these studies! It's scary to think that baby products that are so easy to get our hands on and that we trusted contains things like formaldehyde. That's why I'm glad to know that companies such as Seventh Generation are striving to produce safe products for our babies. Another great way to nurture your baby is through Infant Massage. You should start preforming infant massage after your baby is 3 weeks old. The ideal times to preform massage are when your baby is happy / quiet alert. You'll want to be in a warm room with a quiet atmosphere so that your baby can stay relaxed. Since babies have such sensitive skin you can use non-toxic lotions or oils but it is not always necessary to use something. Some babies do just fine without it. Win the new Wee Generation Line! I love that it’s plant derived! I love that it is gentle on babies skin. I love that it is made with Extra Virgin Olive oil to moisturize. with weather changing my son’s skin especially his face has become so chaffed, my usually silky soft boy now feels like rough sand paper. I was just telling my husband I was going to look for a new product to bathe and lotion him with. Love that these are made from natural ingredients! I love that the products are plant derived! i love that it has No parabens, phthalates or synthetic fragrances ! my son has very sensitive skin. I like that it has verified renewable content. I love that it’s natural and contains extra virgin olive oil to moisturize!